Reviews 樂評 > Band Reviews 樂隊評論 > OYA! 1. Love Me Two Times. Local folk duo OYA may have questioned their sound being described as “soul” on the flyer but, whatever the strict definition of the genre, it was hard to deny that their headline performance lacked soulfulness. 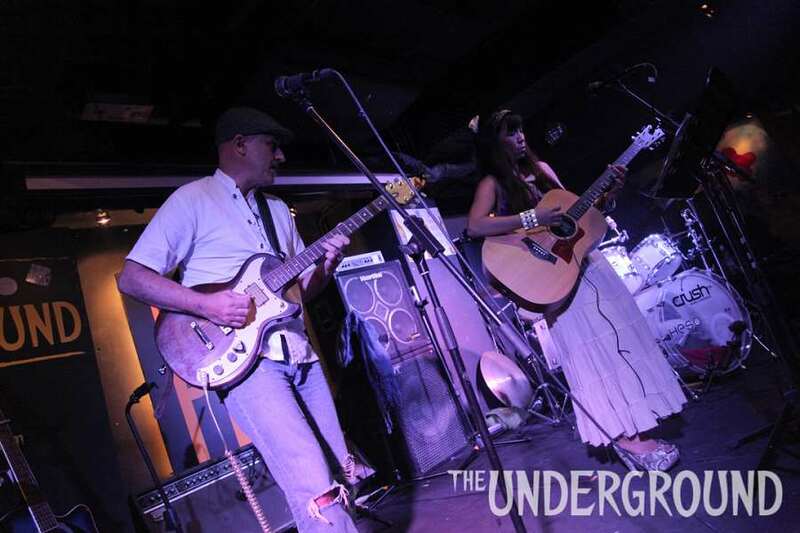 It oozed from Maryjane Alejo’s rich, warm vocals, spun like silk from Graeme Morris’s nimble fretwork and tumbled from the duo’s cheerful, folky attire – which included a tweed flat cap and snakeskin platform shoes. After expressing incredulity at being the top-billed act of the night, OYA went on to disprove their own modesty with a thoughtful and emotive set. Though the duo are known for playing with guest musicians from time to time, their Uncovered Again show was a stripped-back and raw ode to the power of the guitar and voice. The duo played to their strengths, delivering simmering, bluesy takes on artists ranging from Peggy Lee to Bob Marley to The Police. A particularly powerful cover of the rocky Message In A Bottle took on a much more haunting, earnest sense of melancholy as Alejo’s quavering voice warmed to fill the room. OYA’s live performance falls somewhere between Rodrigo y Gabriela and Civil Wars; with the dizzying guitar dexterity of the former, plus the close emotional bond and raconteurial charm of the latter. Songs such as Peggy Lee’s I’m A Woman and Sam Cooke’s Change Is Gonna Come, were lended greater emotional weight in powerful makeovers that made the most of tenderly strummed acoustic chords in symbiosis with intricate noodling on the electric guitar. The pair relented to encore calls and pulled the song of the night out of the bag: a red-hot rendition of The Doors’ Spanish Caravan. A replica of the original song’s Asturias intro gave classically-trained Morris a chance to fully show off his musical skill, while Alejo’s gorgeous voice brought the evening to a close. A treat to behold from one of the city’s rising-star acts.